WELCOME TO THE DEPARTMENT OF NURSING SERVICES – Caring for humanity! A nursing scholar once wrote that “Any hospital without a sense of hospitality is nothing but an asylum for destitutes”. Hence, the fundamental determinant of all clients’ experience in any hospital is the quality of nursing care received. Unlike pleasure to hotels, PAIN is the primary motivating factor why many people seek hospital services. Therefore, it is our uttermost duty to ensure a conducive environment is created for our clients to experience COMFORT and prompt nursing CARE as they are nurtured within the custody of professional nurses during out-patient visits and in-patient admissions. HEALTH as defined by the World Health Organization (WHO, 1946) is; “a state of complete physical, mental and social wellbeing and not merely the absence of disease or infirmity as widely assumed”. This definition encapsulates the holistic dimension of the needs of individuals seeking health-oriented services as a fundamental HUMAN RIGHT which is UNIVERSAL in nature. Therefore, judging by the HOLISTIC nature of HEALTH as an essential demand for LIVING by all human population, it is indisputable that CARING is a basic requirement for the attainment of Sound Health. Hence, the term ‘HEALTH-CARE’ is globally adopted to describe HEALTH-RELATED SERVICES rendered to the general populace which ultimately determines their QUALITY OF LIFE. This ultimately reveals the core value of NURSING CARE as an integral component of HEALTHCARE. Caring for humanity through effective management of available resources (i.e. human, intellectual, capital, technological gadgets, equipments, etc.). To be the most preferred centre of excellence by all healthcare consumers in every aspect of current and emerging nursing care practice. To efficiently manage available resources for prompt service delivery with optimal client satisfaction. To always lead the pace of excellence in clinical nursing through scientific and technological advancement, serving humanity as the centre of reference in quality nursing care for all. To constantly elevate nursing service standards through scientific education and continuing professional training of frontline practitioners in the health care industry. RESTORATIONhelping clients attain their pre-morbid state according to the scientific concept of health-illness continuum. REHABILITATIONrapid social reintegration of our clients, enhancing their positive coping mechanisms to actualize and maintain optimal activities of daily living and functional productivity for sustenance of their wellbeing. RENEWALstaying healthy through self-care, preventive habits and healthy behaviors through health education as an integral component of nursing care. NURSING CARE APPROACH-- Domains of Nursing Care! To achieve the above stated service components, every PROFESSIONAL NURSE employed in the Department of Nursing Services in the Obafemi Awolowo University Teaching Hospitals Complex applies the following DOMAINS of Nursing Care in his/her professional practice. COGNITIVE DOMAINThe application of current SCIENTIFIC Knowledge in our everyday professional practice, staying abreast of clinical updates through CASE STUDIES, SPECIALTY STUDY GROUPS, CONFERENCES, WORKSHOPS and WEB-BASED LEARNING as facilitated by our CONTINUING EDUCATION UNIT. The Department being an integral part of a University Teaching Hospital is determined and committed towards the development of the intellectual assets of our nurse clinicians as they are expected to mentor the NEXT GENERATION of scientific nurses. AFFECTIVE DOMAINAs PROFESSIONAL NURSES, we demonstrate the ART of CARING through courtesy and soothing words of consolation, thereby enhancing psychological comfort and promoting POSITIVE Nurse-Patient/Client Relationship. The impressive outlook of our professional uniform and affectionate attitude are paramount towards the establishment of TRUST as a fundamental necessity for mutual UNDERSTANDING and proactive solution-oriented Nursing Care services that is CULTURALLY acceptable and ETHICALLY compliant. PSYCHOMOTOR DOMAINExperience fosters expertise as professionals perfect skills through practice. Meeting the Daily Care Needs of our Clients according to the Abraham Maslow’s Concept of Human Needs requires that Professional Nurses carry out specialized PROCEDURES. The outcome of care is therefore determined by the level of expertise and skillfulness of the PROFESSIONAL, when provided with adequate required resources to carry out specified tasks within a positive practice environment. Hence, the Psychomotor domain is emphasized by the Department of Nursing Care by adopting the NURSING CARE PLAN as the professional TOOL used in planning while physically delivering care, after utilizing the NURSING PROCESS in taking client history and critical assessment towards making diagnosis of the ACTUAL and POTENTIAL NEEDS of the CLIENT accurately expressed in compliance to the NANDA International Nursing Diagnosis Template. This is the documented part of nursing care and requires professional expertise, skill and experience which are acquired only in practice by consistently using the COGNITIVE and AFFECTIVE domains to establish a Positive Nurse-Client Relationship as a prerequisite for facilitating client’s consent to care, co-operation and collective responsibility to actualize the PREMIUM STANDARDS of NURSING CARE according to our QUALITY ASSURANCE POLICY. Availability – Health for all, all for Health! In accordance to the Ife Philosophy and our believe that sound HEALTH is a UNIVERSAL FUNDAMENTAL HUMAN RIGHT of ALL; our Nursing Care Services are designed to suit every INDIVIDUAL seeking solace in our clinical facilities across our coverage areas. Accessibility - Service without discrimination! In accordance to the International Council of Nurses Code of Ethics, our ultimate goal is to deliver NON-DISCRIMINATORY quality nursing care services in all the health care centres and service units of the OAUTHC without any delay or denial of any individual, sick or well, rich or poor, young or old. Every INDIVIDUAL seeking nursing care is given priority on a first come, first serve basis without any form of unethical bias by social status, lobbying or personal favorites. Affordability - Cost effective management! Considering Nigeria as a developing nation and an emerging economy, majority of those seeking health care in our clinical facilities are of average financial status and mostly financially challenged. Therefore, our pricing principle is guided by the passion for humanity. The acronyms captioned above conceptualizes the fundamental index adopted by all professional Nurses in the Department of Nursing Services while delivering nursing care services to every client in our clinical facilities within the coverage areas of the Obafemi Awolowo University Teaching Hospitals Complex. All practicing NURSES engaged in the service of nursing care MUST possess APPROPRIATE, CURRENT and VALID LICENSE issued and endorsed by the Nursing and Midwifery Council of Nigeria (NMCN). Must be a participatory, financial member of the umbrella professional association (NANNM). Must wear the Approved Professional Uniform corresponding to their cadre and display their Original Identity Card issued by OAUTHC alongside the NMCN PIN/TAG for Registered Nurses while on official duty and rendering care to clients within the OAUTHC hospital units. 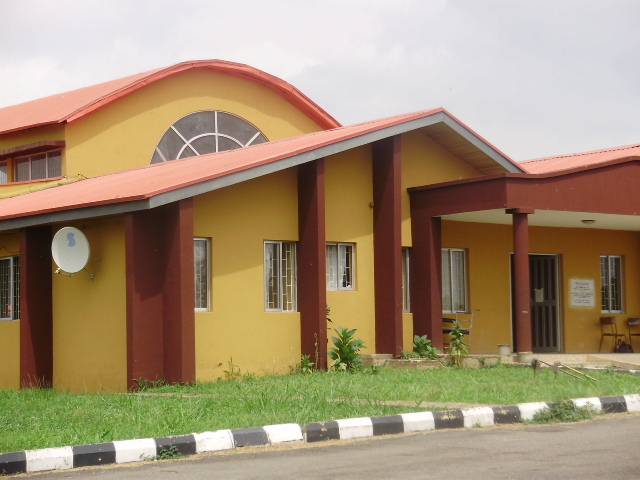 To achieve the above stated service components and standards, the Department of Nursing Services in the Obafemi Awolowo University Teaching Hospitals Complex organized her nursing workforce based on SPECIALIZATION and SEGMENTATION for optimal nursing care experience of our clients, effectively COORDINATED within the entire OAUTHC institution. The organogram below highlights the Service Units that are coordinated within the Department of Nursing Services. The Continuing Education Unit works in conjuction with the Nursing Audit and Quality Assurance Unit for SERVICE FEEDBACKS from clients, employers, community, academic institutions, tracking the trends of nursing practice in the global society. These feedbacks are consistently monitored, analysed and integrated into Course Contents during Curricullum Development as cardinal objectives of the In-Service Training for our Nursing Personnels. Moreover, the Course Modules are specifically designed to meet the developmental strides of our NURSES corresponding to their Service Requirements/Job description as they progress through the ranks of our professional cadres. The Continuing Education Unit organizes periodic sessions of in-service trainings through clinical seminars, workshops and annual scientific conferences during which client-oriented case-studies are discussed, ethical issues are debated and Nursing Intervention Classifications and Nursing Care Outcomes are criticized. These eventually provides innovative ideas and dynamic methodologies of delivering Nursing Care thereby stimulating continual review and ensuring effective updates of our Procedure Manuals considering practical, on-the-job challenges influencing the delivery of quality nursing care services for optimal client satisfaction. The Continuing Education Unit celebrates the 25th Annual Conference in 2010 with external participants (nurses) from various institutions across Nigeria. In the Department of Nursing Services, we believe that “Ambiguity of job description or scheme of service is the ultimate cause of ineffective staff resource management and poor accountability which eventually result into service deficiency, standard devaluation and productivity deficit consequently leading to institutional liability as a result of consumer dissatisfaction”. To obliterate this phenomenon, every Professional Cadre has clearly specified corresponding classification of their Service Requirements/Scheme of Service which helps in objective assessment of our NURSES in compliance with the Annual Civil Service Appraisals, Eligibility Criteria and Recommendation for Promotion Exercises. *NOTE: To ensure service efficiency, all our NURSES irrespective of their PROFESSIONAL CADRE, work at the bedside on the wards as NURSE CLINICIANS being their primary focus of nursing duty as well as performing their SUPERVISORY and MANAGERIAL TASKS concurrently on demand. This also helps to facilitate professional mentorship, knowledge sharing and skill upgrade among our nursing staffs. The OAUTHC Department of Nursing Services offers specialist nursing care in segmented areas of Nursing Care with 691 Professional Nurses, 11 Nurses Aides, 69 Nursing/Ward Assistants, 20 Porters, and 18 Autoclave Attendants. In organization of our Work Schedule per Shift, the Principle of Specialty Skill Mix is implemented which ensures that a Specialist is always on duty in each Specialty Ward throughout the 24 hours Shift period. With respect to our Human Resource Development Policy through Capacity Biulding for Optimal Service Delivery, (OSD), there are 242 Licensed Specialists as at September, 2010 in the Department of Nursing Services in addition to Midwifery Specialty which is a standard requirement for all our Female Nursing Officers. Some of our Nursing Specialists are licenced in Nurse Administration, Orthopaedics, Perioperative, Accident and Emergency, Hospital Infection Control, Psychiatric/Mental Health, Peadeatrics, Opthalmics, Burn and Plastic, Intensive Care, Ear, Nose and Throat (ENT), Anaestethic, Heamodialysis/Renal Nursing and Cardio-Thoracic Nursing (recently in Egypt). Some of our Nurses have also received Professional Training Courses in HIV/AIDS Nursing Care Management from reputable Clinical Experts with the establishment of a well equipped IHVN Clinic donated to the OAUTHC Management by the Institute of Human Virology, Nigeria (IHVN) for intensive training, scientific research and quality management of patients requiring prompt specialist care and continuous client-based support through partnership with International institutions or Non-Profit organizations. The department also provides opportunity for interested nursing personeels seeking to advance their training for professional development through Part-Time Study Agreements and Leave of Absence for Full-Time Study in Nigerian and Foreign Universities. This has accorded our nurses the opportunity to actualize their academic pursuits for Bachelors Degree, Masters Degree and PhD. Degress in Nursing and other Health-Related Courses like Health Education, Public Health, Psychology, Nutrition etc. The Obafemi Awolowo University Teaching Hospitals Complex is well known across Nigeria and beyond as the Centre of Excellence in RENAL and HEAMODIALYSIS CARE. Historically, the first successful Renal Transplant was carried out in OAUTHC in 2004. Moreover, as the training instituiton that pioneered the School of Perioperative Nursing as Specialist Course for Nurses, the Department of Nursing Services collaborates with the training institution in specialist training of Perioperative Nurses across Nigeria. Moreover, the Department also collaborates with various institutions, serving as the clinical training facility for Student Nurses, Student Midwives, Nursing and Medical Students of the College of Health Sciences, Obafemi Awolowo Univeristy, Ile-Ife and many others. Due to the high number of skilled and efficient Peri-operative Nursing Personnels available in OAUTHC, the Department of Nursing Services currently manages Twelve (12) Operating Suites with construction of Four (4) Operating Suites in progress. They are organized for efficient management as follows. Two Main Theatres with well equipped Six (6) Operating Suites; One Accident and Emergency Theatre (One Dedicated Suite); One Obstetric Emergency Theatre (Two Dedicated Suite); One Day-Case Theatre (Three Dedicated Suite to provide affordable, cost-effective services to clients who require Minor Surgeries or Aseptic Procedures with optimal post-operative recovery within Eight to Twenty-Four Hours duration). The forthcoming theatres currently under construction as at November, 2010 by the OAUTHC Management are; Renal Transplant Centre (Two Dedicated Suites); Ear, Nose and Throat Theatre (One Dedicated Suite) Opthalmic Theatre (One Dedicated Suite). As a proof of its capability in specialist services, the OAUTHC Peadeatric Surgical Team which includes Peadeatric Surgeons, Peadeatric Nurses, Perioperative Nurses and Intensive Care Nurses successfully conducted the First Surgical Separation of Siamese Twins in Nigeria. Moreover, the institution is a WHO Baby Friendly Centre with strict adherence to the 10 Steps to Successful Breastfeeding and practice of ‘Rooming-In Policy’ in our Maternal Centres which encourages holistic nursing care of newly-delivered mothers and their neonates in close proximity by experienced Midwives of international repute. Furthermore, emphasising our devotion to client-centred nursing care; the Department of Nursing Services in collaboration with specialized healthcare professionals under the co-ordination of the OAUTHC Management, manages Cardiac Care Centre and Heamatology Day Ward which currently provide specialist care to specific Client-Groups. This peculiar service centres help to promote easy access to care, simultaneous professional intervention of all the team specialists and ensure holistic approach to solving client-centred problems.